Boyangsik, which translates to “food that takes care of one’s body,” is a type of cuisine Koreans enjoy to recharge the lost energy by consuming dishes that are rich in protein and minerals. Throughout the history, the cuisine is believed to invigorate one’s body to get through the sweaty season. Below are five boyangsik dishes that are most enjoyed in Korea these days, as well as places to enjoy them. Feel free to find them or others to rejuvenate yourself during the season. 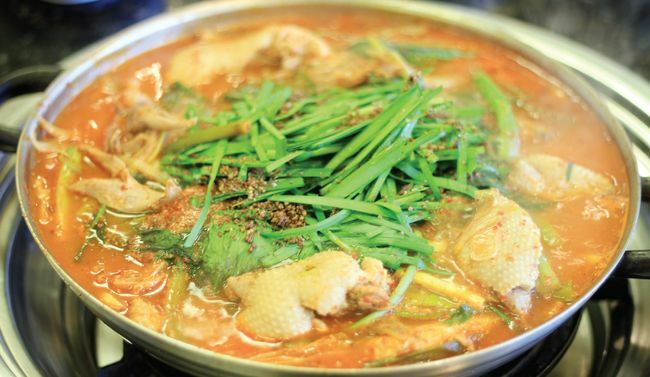 Samgyetang, which is alternately known as “ginseng chicken soup,” must be the most well-known and common boyangsik. 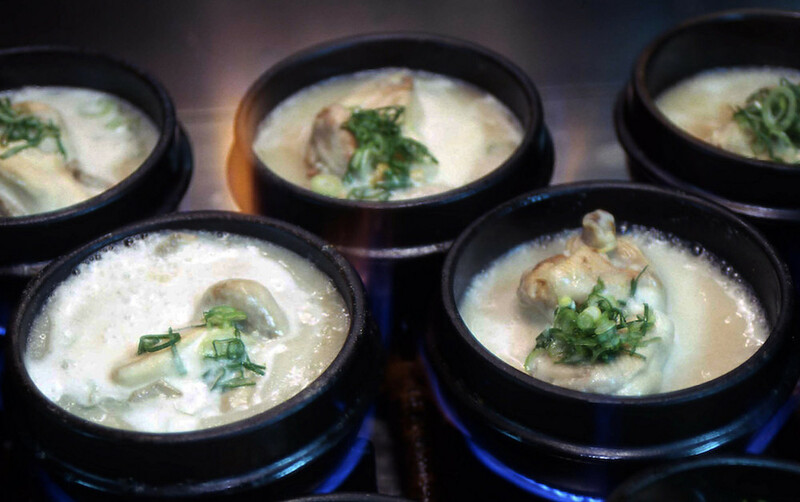 Each serving of samgyetang uses a whole chicken, which is stuffed with sticky rice, ginseng, dates, and other vegetables. The stuffed chicken is served while it’s still boiling in its thick, flavorful broth. The restaurant located near Gwanghwamun, Tosokchon is the place where you can find samgyetang prepared in the most traditional way. Tosokchon’s samgyetang has no special ingredient, but you will taste the legit version of the dish prepared properly. Eels, which are served on grills like Korean barbeque, are enjoyed as a luxurious dish for their high prices. The fish’s high fat and iron content is believed to give ample energy to survive the hot season. Many of the eel restaurants are located in the suburbs, as most of them are operated with eel farms that enable the supply of freshest fishes. If you don’t have spare time to travel all the way to those restaurants just for a meal, Nonhyeon JangEo, located in Gangnam, can be a great alternative option. They serve fresh water eels for relatively affordable prices. 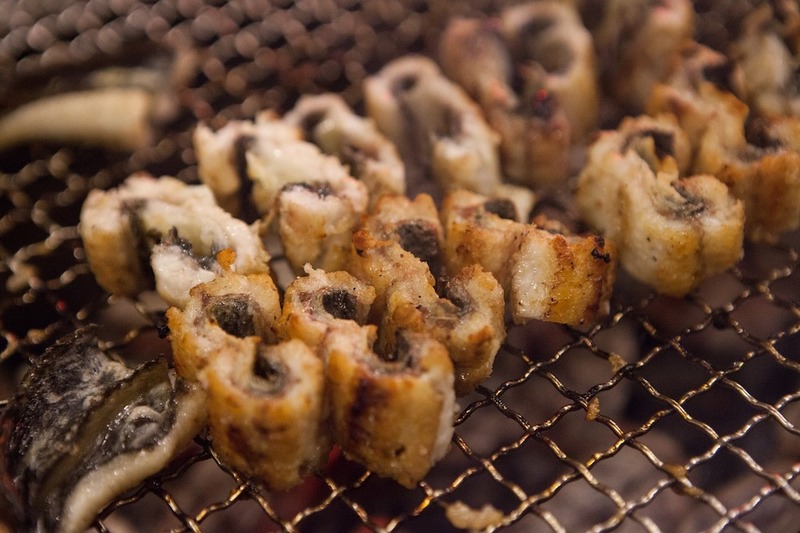 Sea snails are another most celebrated delicacies Koreans enjoy for rejuvenation. 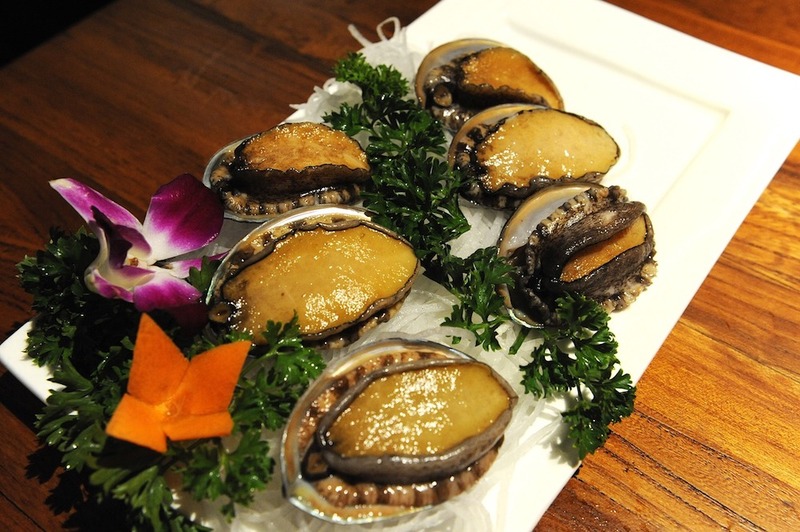 While the most common way to enjoy an abalone is to make porridge, grilled abalone is also a popular form to enjoy the seafood with high mineral contents. Jeju Island is known for a wide variety of fresh seafood, including abalones. This restaurant is worth a visit if you’re in Jeju. Albeit with long waits, their food, which ranges from abalone porridge to grilled abalone, won’t let you down. Throughout the history, Koreans believe that duck meats effectively detoxify human body. Korean cuisine cooks duck meats in various ways from barbeque to soup and making a “tang,” which is a type of soup boiled for a sufficient amount of time, makes a good boyangsik food. This restaurant makes different types of dishes using duck meats, but Ori-Tang is definitely the most popular. Plentiful amount of perilla seeds used in their Ori-Tang makes the dish flavorful.